In 1997 Eric Clapton was in New York City and scheduled to appear at that year's Grammy Awards Show. He was also scouting a location for a video to accompany his album Retail Therapy by T.D.F. Clapton was interested in "Street Art" and already owned Stratocasters painted by well known NYC street artist. He contacted New York City street artist John Crash Matos to inquire of suggested locations for the video. During their meeting Clapton inquired of Crash the possibility of painting a Strat for him. This didn't happen until three years later. Through Eric's connection with Fender, an unfinished Stratocaster body was sent Crash in 2000. This resulting guitar came to be known as the Crashocaster. 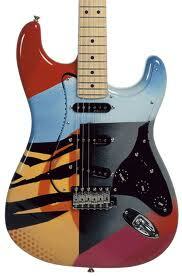 The guitar was known by several other titles; Crash #1, the Over-the-Rainbow Strat or the Rainbow Strat. He went on to make two more Crashocasters for Clapton. In 2004 Crashocaster #3 was auctioned off at Christies and it sold for $321,000. This caused Fender to take notice. 2004 was also the year Fender opened the companies Custom Shop. Fender decided to commission Crash to paint 50 Stratocaster Custom Shop bodies featuring the artists graffiti inspired designs. The project took Crash two years to complete. The 50th body was finished in January of 2007. The collaboration between Fender and Crash was set in motion in 2003 due to a meeting between Crash and Fender Custom Shop Senior Master Builder Mark Kendrick at a San Francisco art gallery. Kendrick was aware of the 3 original Crash painted Clapton Strats and he suggested that Crash paint a prototype body and send it to Fender. This guitar was displayed during the 2003 Winter NAMM show. The guitar featured a gold pickguard. Though Crashocaster is the name most Fender enthusiasts refer to these guitars, it was never recognized by Fender. Instead it was dubbed Custom Crash Stratocasters. John Crash Matos was never actually a part of the Fender Custom Shop, but worked as an independent contractor with only a limited edition of 50 guitars acknowledging his artwork. These guitars include Crash's signature on the neck plate, along with the Custom Shop logo. They were sold with a certificate of authenticity. Crash may have produced some painted bodies that were not commissioned by or approved by the Fender Musical Instrument Company. Fender Custom Master Builder Todd Krause's name appears on all the headstocks of the Crashocasters. Krause is the luthier that actually made these guitars. 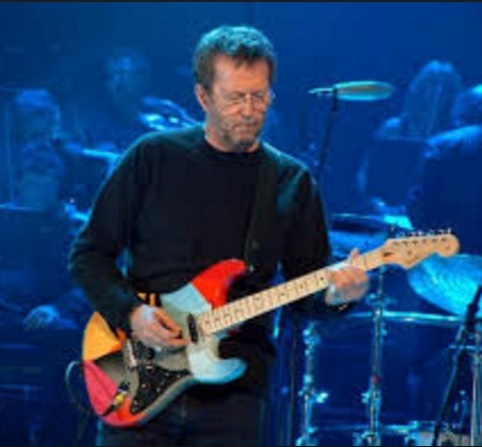 Clapton's instruments, the Crash-1, known as Rainbow Strat was painted in 2000 and the Crash-2 was done in 2002 with the Crash-3 being painted in 2004. 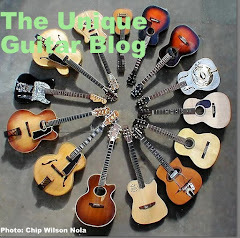 These guitars were above those commissioned requested by Fender. So there are actually 53 Crashocasters. The Custom Shop run of these models featured body painting by Crash; however they are not Eric Clapton signature Stratocasters. The feature similar specifications there are slight differences between the two models.